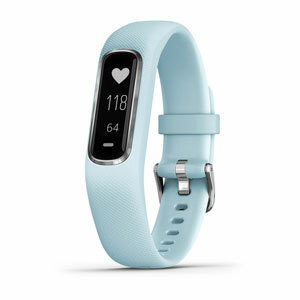 Garmin has released the new iteration for the vivosmart 4 series and it’s packed with software and comes in 4 stylish colours. It’s set to release in Australia this month with a couple more styles releasing in October. These new styles include Grey Rose Gold, Black, Berry and Azure Blue and have an RRP of $199. The Body Battery is a new Garmin feature that has debuted on this watch. It works by estimating how ‘fatigued’ your body is based on your recorded activity information and health metrics. This data is based on your own historical information – heart rate, quality of sleep, physical activity. These factors come together to give you an estimate on how ready you are for a workout. Lower numbers indicate you should be leaning towards lighter exercise or rest while higher numbers suggest you are well rested and prepared for an intense workout. Out of the box, this measurement tracking won’t be super accurate as it will need time to understand your personal level of fitness. The Body Battery feature can also help you track potential patterns throughout your weeks, this data can actually help inform you why you’re feeling odd on a particular day. Pulse Ox was first introduced on the fenix 5X Plus series but has also been released on the vivosmart 4. At a basic level, the Pulse Ox measurement captures the amount of oxygen saturation in your blood. For the vivosmart, the focus on using Pulse Ox is to get more information on how well you slept and what impact that had on your body. Now you can instantly view your Oxygen Saturation at any point (I’ll include a chart that explains what the percentages mean) though spot analysis is particularly useful at altitude. At its core, the vivosmart 4 is designed for everyday health-minded users. This is not intended for athletes nor is it meant to be an all-purpose smartwatch. The software functionality is designed only for health stats like analysing Sleep patterns (REM sleep gauge), tracking your activity impact and benefit (body battery), stress tracking, relaxation breathing timer, VO2 Max and more. 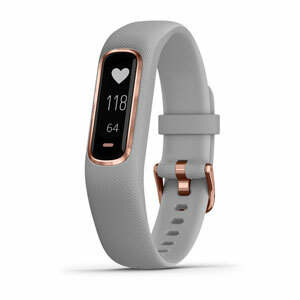 While the device does not have built-in GPS functionality, it can still track all of your standard activities like walks, runs, strength training, yoga, pool swim and more. It also comes with smartphone compatibility with alerts for notifications, calls, texts and calendar notifications. It’s also safe for swimming and showering without getting damaged. Overall this watch with the new features like Body Battery and the inclusion of Pulse Ox make it an excellent new addition to Garmin’s lineup, my only problem with this watch is the screen. The screen size makes me question the point of even including all the notification features. 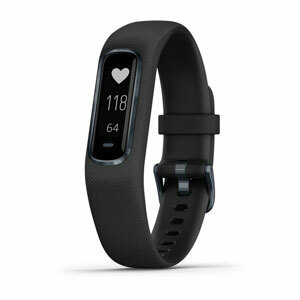 You will be entirely relying on the Garmin Connect Companion app for any fitness/health information you want to check up on.